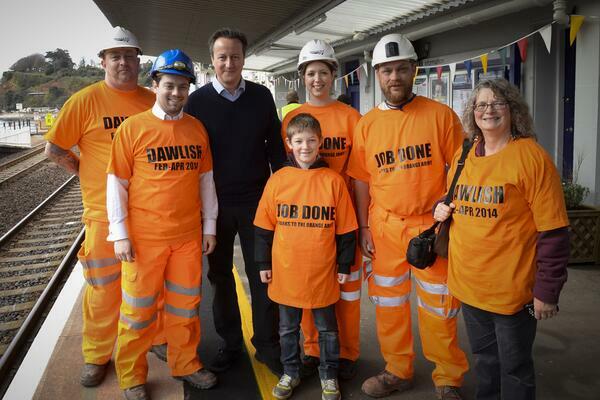 Network Rail has released a time-lapse video of the repair work done to re-open the Dawlish railway line. The line was badly damaged and left unusable following the storms in February. 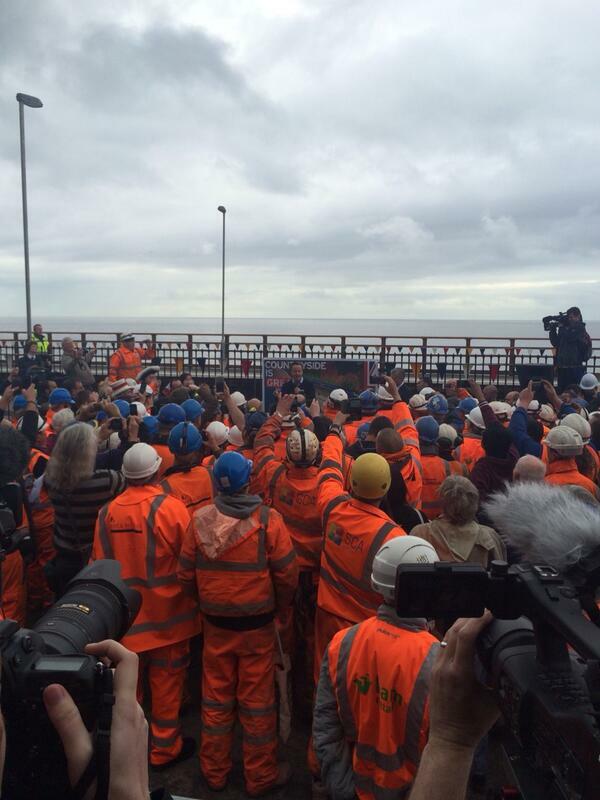 David Cameron is meeting workers who helped to re-open the railway line in Dawlish, Devon, which was destroyed by storms in February. 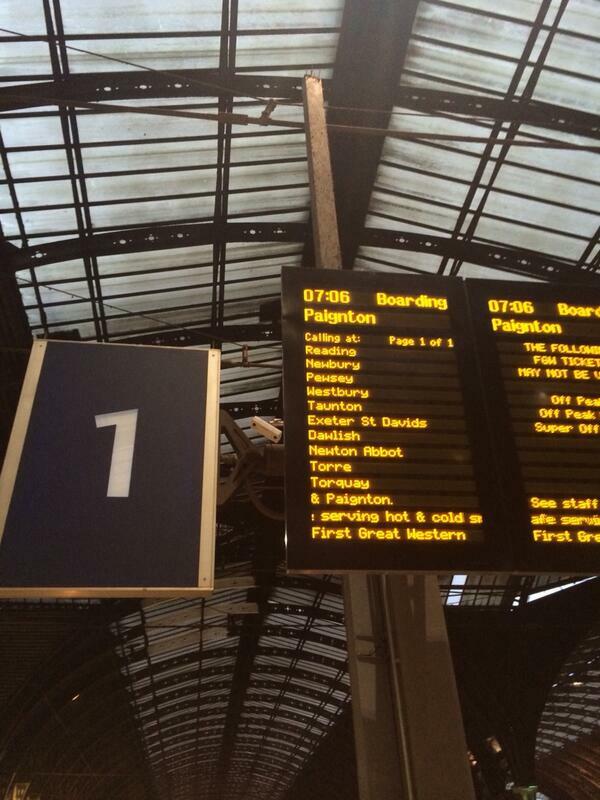 The south-west was left cut off to trains following the damage caused by bad weather. The broken rail line at Dawlish has reopened this morning after being closed for two months. 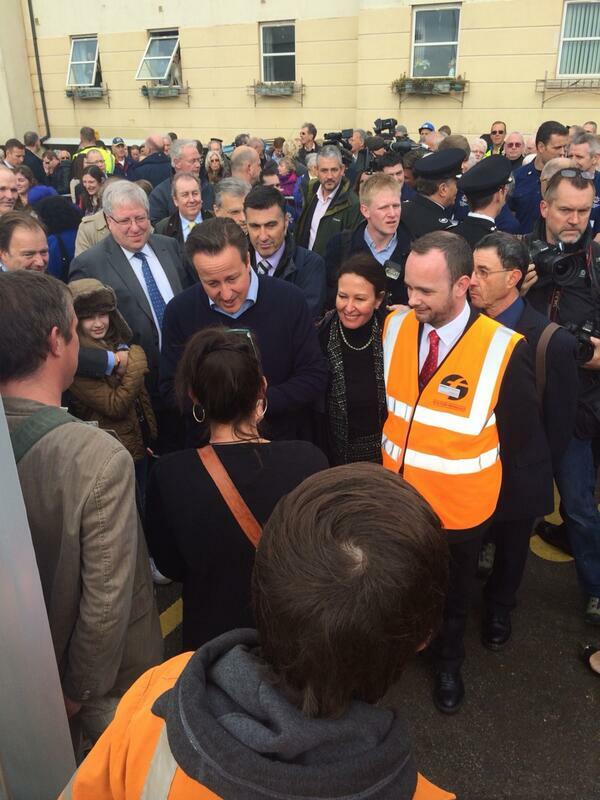 The first passenger train passed through Dawlish Station just before 6am, travelling from Exeter to Paignton. The tracks were badly damaged by the storms back in February. After weeks of work by a 300-strong team, Network Rail has been able to reopen the badly-damaged railway line at Dawlish in Devon. ITV News reporter Lewis Vaughan-Jones is travelling on the 07.06 train from Paddington to Dawlish. The railway line in Devon had been closed following recent storm damage, leaving travellers unable to reach Devon and Cornwall directly by train. After weeks of work by a 300-strong team, Network Rail (NR) has been able to restore the badly-damaged line at Dawlish in Devon. The coast-hugging line at Dawlish bore the brunt of the severe weather this winter, with the sea wall breached and the line badly damaged on 4th February. This led to the line linking Exeter St Davids with Newton Abbot, Plymouth and Penzance to close and saw the start of a huge repair job by NR.Large teams of workers moved in to start the massive clear up.